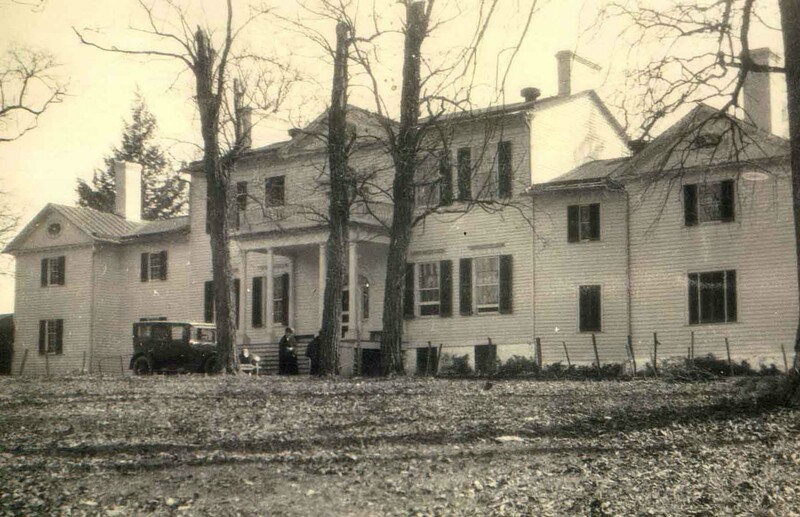 “Ravensworth Mansion,” braddockheritage.org/, accessed April 24, 2019, http://braddockheritage.org/items/show/211. 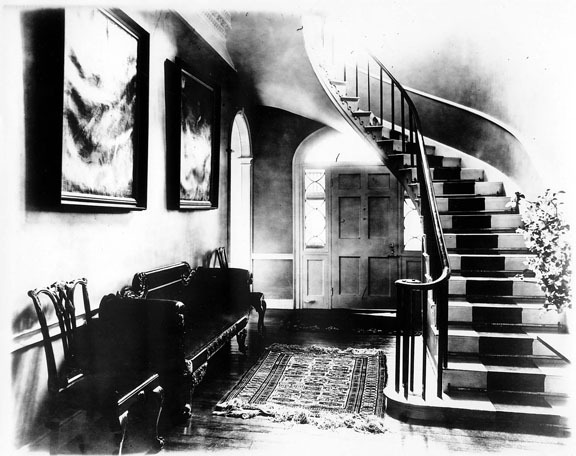 Circa 1920 photographs show the exterior front and front entrance hall of Ravensworth mansion. William Fitzhugh, great grandson and namesake of the original buyer of the 22,000 acre Ravensworth tract, built the mansion circa 1796. It burned in 1926 in a suspicious fire. The mansion's former site is in the industrial area on Port Royal Road, a short distance southeast of Ravensworth Shopping Center. Photos courtesy Herb Beard, who obtained them from the U.S. National Park Service circa 1968. 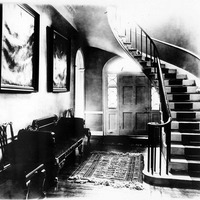 Original sources: exterior front view, Leet Bros., Washington, D.C; front entrance hall, not determined.